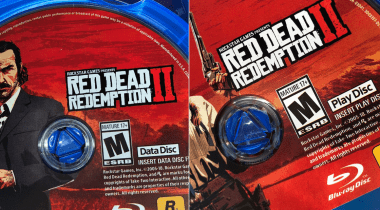 Following earlier reports that physical copies of Red Dead Redemption 2 for the PlayStation 4 will comprise two discs, we now have confirmation and actual pictures of the discs themselves. 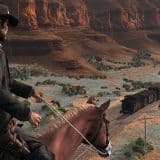 RDR2 will have a “data disc” and a “play disc”, both on Blu-Ray. Photographed by KOFI, a YouTuber active on Twitter, the two discs feature distinct artwork. The data disc is adorned with artwork of Dutch van der Linde, while the other is decorated with art of Sadie Adler. Other than this, you only have your standard legalese, Blu-Ray branding and various logos. Recently revealed Japanese box art was the first sign that the game would ship on two discs. 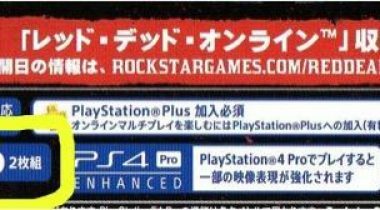 Those particular images also confirmed a few stats were known or suspected already – the 2-32 player online mode, 105GB recommended storage space and the PS4 Pro Enhanced nature of the game meaning it looks better on Pro devices. 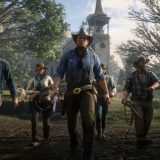 The question of the install size remains unclear though, with the box art, Microsoft’s store page and Rockstar themselves all giving different numbers. 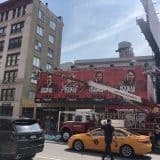 What we do know is that the game will be big. KOFI indicated in his tweet that the game came with a map. It is unclear whether he has one of the special editions that come with a map, whether streamers/reviewers were given special packages with the map included, or if all standard edition physical copies come with maps. Red Dead Redemption 2’s launch trailer was recently posted by Rockstar. It is customary to publish launch trailers well ahead of launch to stoke the flames of hype leading up to the big day. It also means that we’re unlikely to get any new trailers of major press releases until after next Friday. Red Dead Redemption 2 will be released on the 26th of October, less than a week from now, on PlayStation 4 and Xbox One.